Today is Monday, the start of a new week and the start of school for Fortuna! Fortuna wakes up first and uses the bathroom before going to eat breakfast. 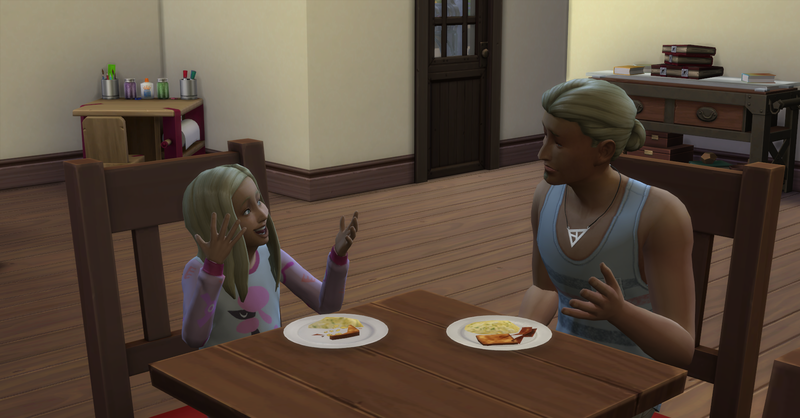 Pawel joins her at breakfast and Fortuna enthuses about going to her first day of school. Afterwards, Fortuna ponders chess moves on the chessboard for focus before school and Pawel browses art on the web for inspiration for work. Rosabelle wakes up late since today is her day off, she uses the bathroom and showers off. Then she goes to tend and harvest the garden. She also harvests the flowers and blackberry bushes and sells the produce to the local farmer’s market. Fortuna and Pawel leave for school and work respectively. Rosabelle eats some breakfast before going collecting around Skyward Palms this morning. She collects a Ruby Crystal here. And harvests the wild blackberries by the entrance gate. The Royalty Report also arrived while Rosabelle was collecting, but unfortunately it wasn’t documented. 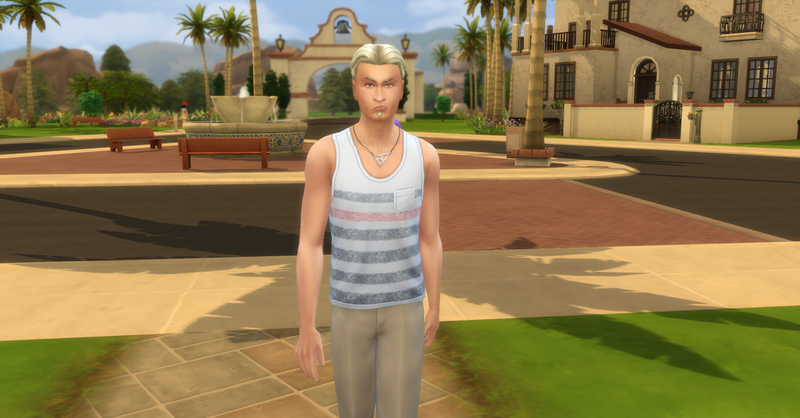 They received §3780 in royalties and their funds are now §36,565 simoleons. 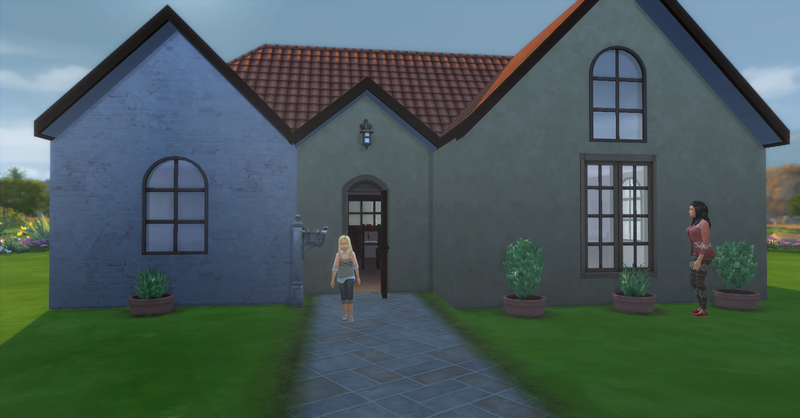 Rosabelle returns home and continues work on her book until Fortuna come home from school. Fortuna arrives home and does her homework for the day while Rosabelle continues to work on her book. Pawel come home with a promotion from work. He chooses to focus on the author branch of the writer career, he earned §400 in regular pay with a bonus of §956 simoleons. He also received the Antique Tomes which they already have so he immediately sells them for §620, their funds are now §39,996 simoleons. Unfortunately Pawel is in a bad mood from work, he tense and low on fun. This week’s bills have been delivered, they are §622 and they are not all that bad for living in a larger house! Pawel pays the bills before he even walks in the door. Their funds are now §39,374 simoleons. Fortuna finishes her homework while Pawel relaxes from work in front of the tv. After Fortuna finishes her homework she joins her father for dinner. After dinner Pawel starts a new screenplay called, Twilight Boulevard and Fortuna goes to play with her toys for an aspiration requirement. 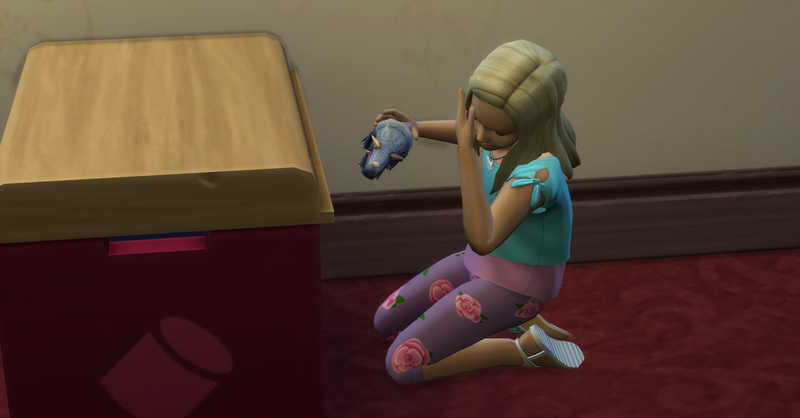 She dreams of becoming a famous painter someday and knows that she will have a big learning boost if she can complete her childhood aspiration to be an Artistic Prodigy. Those toys can be painful! Meanwhile Rosabelle tends the garden and harvests the lily plant, she sells the crop for §72. Their funds are now §39,446 simoleons. 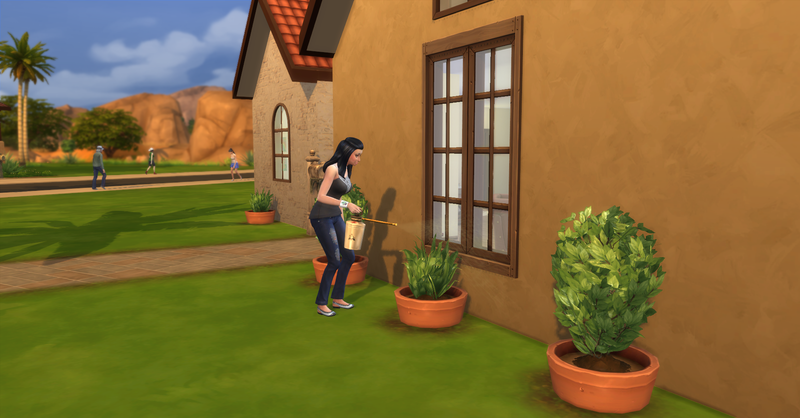 Rosabelle has been working on her garden and researching gardening on the computer and has come up with a plan to increase their revenue from their garden. She has recently learned about a technique to splice together two types of plants to create a new type of plant. Her research also concluded that if she could splice the correct plants together she could create the exotic dragon fruit, which all the best bakeries demand a steady supply of, that she could sell crops of for thousands of simoleons at a time! 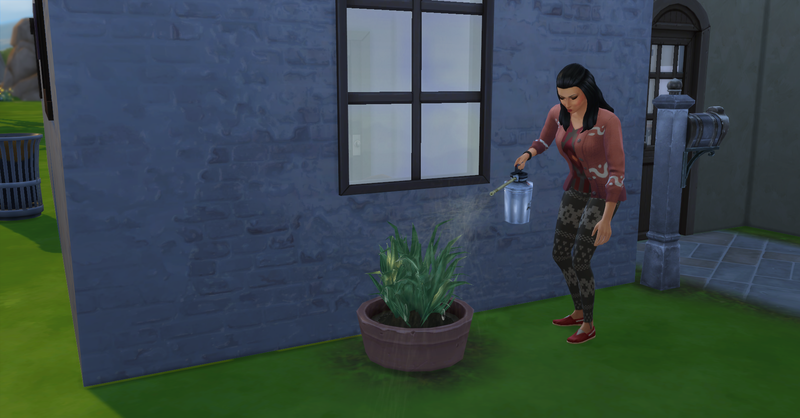 She has also noticed that the plants in the planters do better than the ones planted in the ground, they don’t need to be watered or weeded as often. 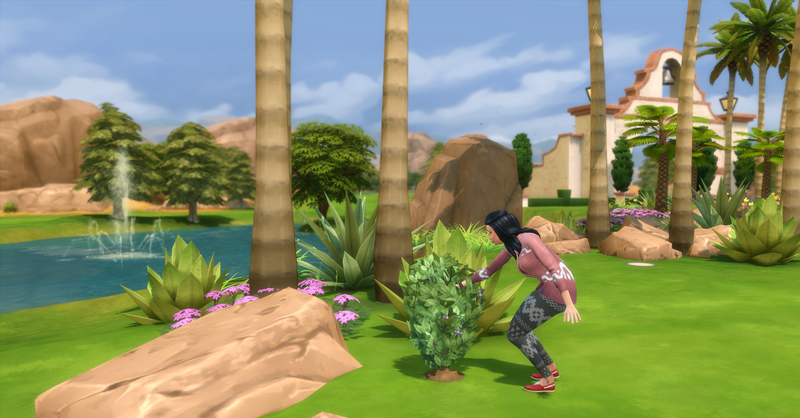 However a large garden planter, of which she needs at least 2 because she plans to grow at least 8 dragon fruit plants, cost §200 simoleons each! 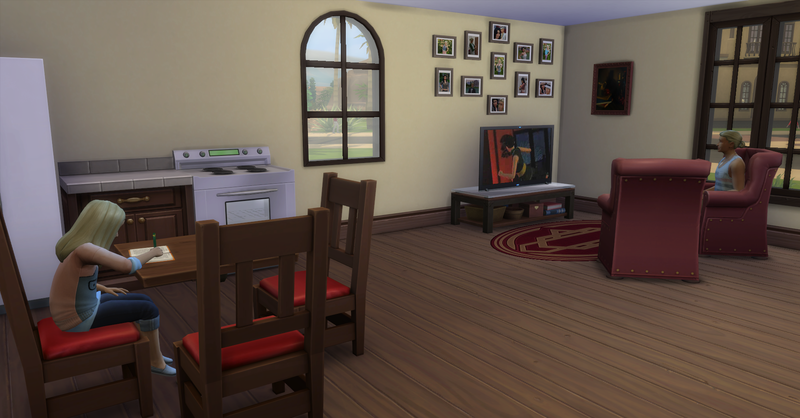 Pawel’s handiness skill is quite good now and Rosabelle thinks that investing in a woodworking bench (§750), while having an initial high cost would pay for itself after a few uses. Pawel crafts 2 garden planter (§17ea) for Rosabelle on the new bench to test it out. Their funds are now §38,662 simoleons. Fortuna goes to bed while Pawel is crafting on the woodworking bench and Rosabelle is researching gardening on the web to get to level 5 in order to be able to graft plants. 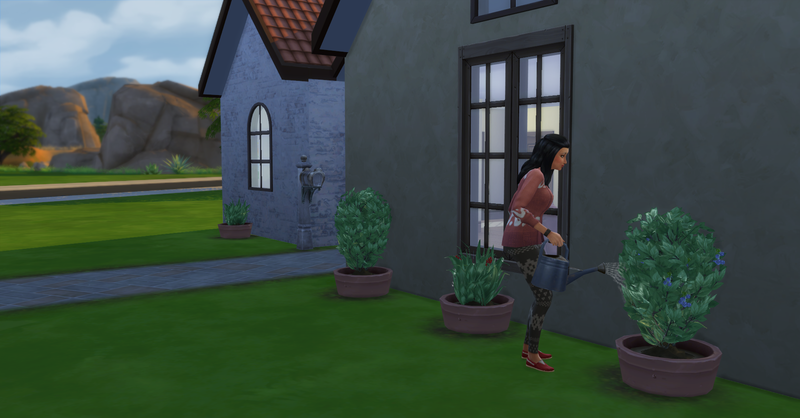 When Pawel is finished with the planter he goes to look for Rosabelle and spend some quality time with his wife. 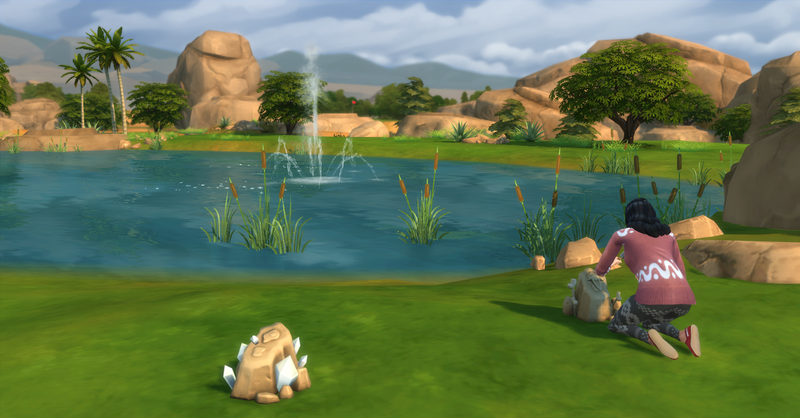 They flirt and Pawel suggests they woohoo, Rosabelle is very excited. They hit the sheets and we all know what happens at this point. They fall asleep after they finish. Look at the look of happiness and satisfaction on Rosabelle’s face. She is one happy wife. Check back soon for Week 5, Day 31 – Sick Again? Rosebud Challenge Week 5, Day 31 – Sick Again? Does Fortuna have the clumsy trait? Those bills are really reasonable, for such a nice house. And the pictures they took look great the way you arranged them over the TV. Once she can graft plants, if you have one at higher quality, that really unlocks the ability to increase their quality, that will be great and you’ll start getting a lot of money for the produce. 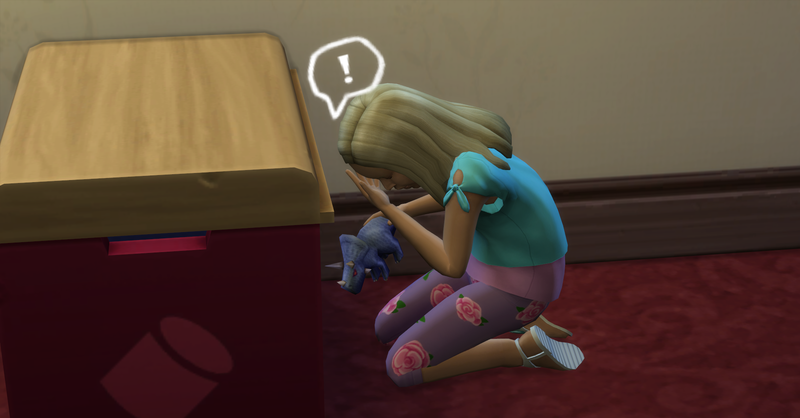 No clumsy trait, she is creative which might actually make her a little awkward. The snapgradons which she is planing to graft to are already at good or great quality, I can’t remember, and they will definitely sell for a good price once the harvest is ready. She got to grow some first though!